Sophisticated phone systems allow you to positively improve your marketing in so many ways. Today’s cloud based phone systems like Halloo bring together the capabilities of multiple different technologies, with one platform, you have a contact management system, answering service, a social phone system and more. Knowing how to use those different capabilities can majorly impact your marketing. Call tracking is the gathering of information via calls that come into your phone system. Some of it is simply based on the collecting the metadata of each call, other data is collected by tying different phone numbers to different marketing campaigns, and yet other more detailed data is obtained through the interaction of your phone representatives with callers. Call tracking using different phone numbers for each marketing campaign or strategy allows for the easy collection of data about your callers. You learn where they are calling from, what they are calling about, if they’ve called before, and exactly what content made them call. Knowing what marketing campaigns are working to get your audience to pick up the phone is critically important. Collecting metadata from your calls provides marketers with valuable information, such as when a member of your target audience is most likely to call, if they’ve called previously, and how long they speak with representatives before making a purchase or ending the call. If the right keywords are being used. What type of impression your company gives the public. The goals of customers who purchase your services or products. How you compare to the competition, and more. Find out what is working in your promotional strategies. As this information is analyzed, marketing directors can track what promotional strategies work best. Because such data can be collected and analyzed easily and often, strategies can be changed and tweaked so that marketing efforts are optimized for the best results possible. Learn more about your own product. Sometimes how we envision our services or products being used is not exactly how customers use them. In the contact management portion of your phone system, unique usage can be noted. Such information can become the impetus to lead a company to a potential market that might not have been discovered otherwise. Create relevant messages for your callers. Your phone system can also be used as a tool to deliver marketing messages to your callers. If a caller takes the time to call your company, they likely are interested in what you offer and are a very good sales lead. Further enhance the opportunity by providing additional information, special offers, and intriguing information when the caller is being routed to the person best equipped to take their call. Instead of on hold music, seize the opportunity to market to callers with messages tailored to the season, or to a specific goal, like upselling or cross-selling. 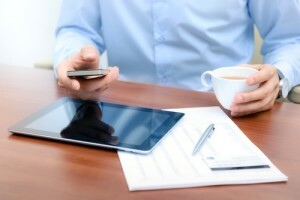 Virtual phone systems for small businesses are making marketing easier than ever. How is your small business phone system working for your business? I have small to medium business and I get most of my revenue from selling by phone. To me having a good call tracking is crucial. Now I’m using Ringostat and I’m curious whether other call tracking services have the same analytics capabilities? like multi-channel funnels, etc.